The Caribbean islands were hammered by Hurricane Irma, leaving tens of thousands of people without water or electricity. 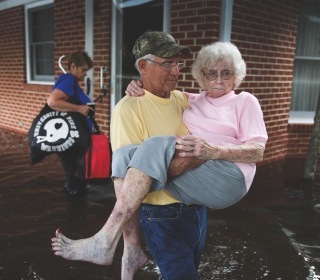 As rescuers scramble to save people from the widespread destruction, you can help as well. The phenomenon is called dangerous and life-threatening, but what exactly is it? 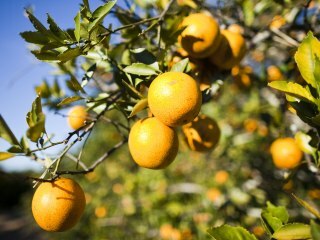 The dangerous Category 3 storm is on a collision course with Florida’s $8 billion agricultural economy. 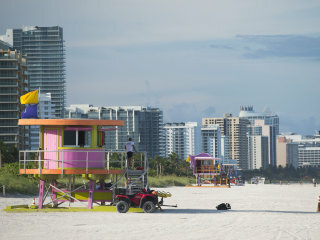 South Florida has added millions more people and many more buildings since its last category 5 hurricane. Has it done enough to protect them? Hurricane tracking has improved markedly in recent years, but scientists still need many models to predict storms like Irma. Still, they don't know for sure. 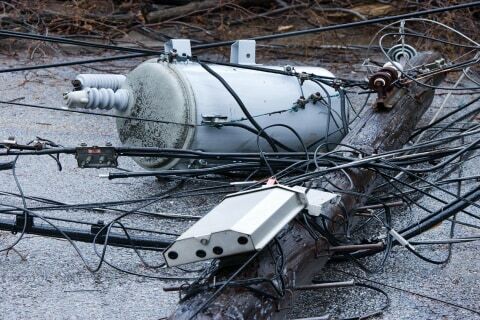 Here are four simple tips to handling a power outage, including how to keep your food from spoiling. Officials urge residents to prepare for a major storm. After the storm, a hidden danger remains: Floodwaters. It turns out watching disasters might actually be positive for the brain (up to a point). The history of named storms finds its complicated roots in WWII military traditions. 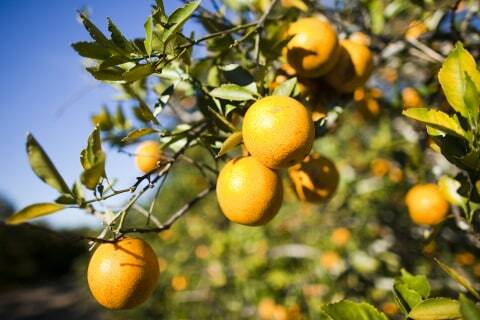 Hurricane Irma served as a knockout punch for many of Florida's citrus farmers, whose trees have been ravaged for decades by citrus greening. While January typically kicks off the high season in the Florida Keys, many businesses are still struggling after Hurricane Irma devastated the region. Police are investigating the deaths at a Florida nursing home that lost power after Hurricane Irma. The deaths were attributed to environmental heat exposure. Many residents of Barbuda are still living in shelters after Hurricane Irma, so volunteers from Samaritan’s Purse brought supplies and surprise gifts for the children. The Caribbean is still open for business, but destinations like Oahu, Maui, Phoenix, and Los Angeles will likely see an uptick this year. Cecilia Franco, 90, and Francesca Andrade, 95, died from ailments suffered after the Rehabilitation Center at Hollywood Hills lost power Sept. 10 during the hurricane's passage. Police are treating the deaths as part of a criminal investigation. After hurricanes, has Trump ignored the U.S. Virgin Islands? Rep. Stacey Plaskett of the U.S. Virgin Islands tells Joy Reid of the low morale spawned by what she describes as the ineffective hurricane recovery efforts orchestrated under Donald Trump. Sheriff's deputies, one woman said, told them the wristbands were prompted by problems that arose among homeless people at the shelter during Hurricane Matthew. Hurricane Irma destroyed an estimated 25 percent of homes on the islands, authorities say. Police in Florida said a 94-year-old woman died Thursday. It's the 11 death of patient from a nursing home that lost air conditioning after Hurricane Irma. The 10th victim from the south Florida nursing home that was turning into a lethal sauna by Hurricane Irma was 94-year-old Martha Murray. 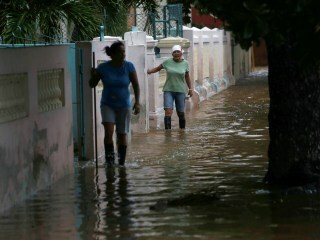 It's the strongest hurricane to hit Puerto Rico in nearly 90 years. Regional Chancellor Sophia Wisniewska resigned after it appeared she was hunkering down on campus ahead of Irma but had actually fled to Atlanta. This year’s hurricane season is more active than normal and has already produced more storms than the yearly average. Hurricane Maria was strengthening fast into a monster storm Monday as it barreled toward Puerto Rico and other Irma-battered Caribbean islands. Irma damaged parts of the Caribbean already, but Maria is predicted to pile on more. Students in Miami-Dade and Broward counties, two of the nation's largest school districts, will return to class Monday. Barbuda’s infrastructure — the power grid, phone lines and water treatment plant — is devastated. The island of Barbuda was hit very hard by Hurricane Irma and now the people who are stilling living there are faced with the question, what to do now? The impact of Hurricane Irma continues to linger in the Caribbean. Joy Reid and her panel discuss. Officials told those returning to the Florida Keys after Hurricane Irma they must be prepared to sustain themselves, because resumption of services is unknown. Randy 'Shots' Lathrop, a Florida photographer, always keeps an eye out for unusual sights, but he never expected to come across a potentially historic canoe. Hurricane Irma devastated the Florida Keys, overturning boats and toppling hundreds of homes. 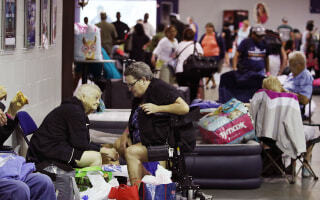 On Saturday, some residents were allowed to return home to see the damage. In a tweetstorm relaying the new measures, Scott said he was 'outraged' over the deaths at the Rehabilitation Center at Hollywood Hills. 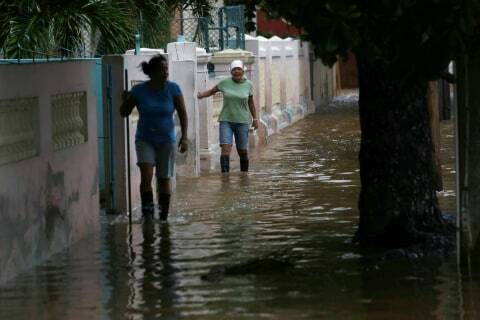 NBC News' Stephanie Ruhle traveled to the Caribbean island to talk to residents who say they lost everything and will most likely have to leave the island to find work elsewhere. Compared to Harvey, economic disruption was greater because of power loss and disruption to the state's $100 billion tourism industry. Gov. Andrew Cuomo, D-NY, is set to travel to the U.S. Virgin Islands to survey the damage caused by Hurricane Irma. NY National Guard airmen are there now helping with recovery efforts. Florida Gov. Rick Scott promised to "aggressively demand answers on how this tragic event took place" at a Hollywood facility. More than a week after Irma, many of the British Virgin Islands still face a shortage of food, water, and power. NBC’s Stephanie Ruhle went to Tortola — one of the hardest hit islands — to survey the damage. The president met victims of Hurricane Irma in a visit to Naples on Thursday, handing out sandwiches while acknowledging “the very, very special problem” of the Florida Keys, the state’s hardest hit area. While greeting Floridians impacted by Hurricane Irma in Naples, Florida, President Trump appears to throwback to the 2016 campaign trail. NBC News graphic retraces Hurricane Irma as it developed in the Atlantic, swept across the Caribbean and swirled north over Florida. Vice News Tonight's Antonia Hylton traveled to the U.S. Virgin Islands to get a sense of how residents there were picking up the pieces after Irma. Hylton joins Morning Joe to discuss. State and local authorities are investigating the deaths of eight people found in a sweltering hot Florida nursing home left air conditioning by Hurricane Irma. In its wake Irma has left thousands with the bleak reality of rebuilding their lives amid hot and dismal conditions. The U.S. Virgin Islands of St Thomas and St John were hit by Irma’s category 5 winds well before the storm made landfall in Florida. On Antigua and Barbuda, also devastated, residents have struggled to find supplies. In the battered Florida Keys, there have been signs of hope amid the wreckage. An island radio station has stayed on the air to give residents all the latest information as neighbors have helped their fellow neighbors rebuild. Police are investigating what led to the deaths of eight people who were found inside a sweltering hot Florida nursing home left powerless by Hurricane Irma. A victim of Hurricane Irma is stating that she, and others, were not allowed on a boat to safety because that the boat was chartered by Marriott hotels and only Marriott customers were allowed on, thus leaving them stranded. One professional storm chaser said he and a group of roughly 35 tourists were stunned when the ferry left them on the dock on Friday night. Health aides rush to evacuate elderly patients at a rehabilitation facility in Hollywood, Florida, after five people died when the power was knocked out by Hurricane Irma. Gabe Gutierrez reports the latest from Hollywood, Florida, where loss of power has created a tragic situation at an elder care facility. Morning Joe's Louis Burgdorf travels to the Florida Keys to see how residents are rebuilding their lives after Hurricane Irma. Hurricane Irma survivors on the hardest-hit islands in the Caribbean feared they would be forgotten after the storm left "apocalyptic" destruction in its wake. Residents have begun returning to the Irma-ravaged Florida Keys, where an estimated 90 percent of home are damaged or destroyed, power is still out, and crews are going door to door looking for victims. NBC’s Gadi Schwartz reports for TODAY from the Florida Keys. The Morning Joe panel discusses the recovery effort underway in Florida and in the Caribbean following Hurricane Irma's destruction. Trump is expected to visit the U.S. Virgin Islands to survey the "apocalyptic" destruction left in Hurricane Irma's wake. Stacey Plaskett, U.S. Virgin Islands delegate to the House of Representatives, joins Lawrence O'Donnell to describe conditions on the ground. Suzanne Carlson, staff writer for the Virgin Islands Daily News, talks with Rachel Maddow about the struggle in the U.S. Virgin Islands to first survive and then begin to recover from the havoc of Hurricane Irma. There are up to 15 million people still without power in Florida alone, and over 20,000 workers from 30 states are working to bring electricity back to the Southeast. The massive relief effort across Florida continues from the air as the U.S. Navy launches search teams to scour the Keys. Hurricane Irma’s impact continues to cripple much of southeast Florida, including the Southernmost point, where residents are scavenging for gas, batteries and water. NBC News' Jacob Soboroff joins people as they return to Everglades City, Florida, one of the places hit hard by Hurricane Irma. Video shot from the air makes clear the devastation caused to Caribbean islands by Hurricane Irma. Residents of the Florida Keys eager to assess their hurricane-ravaged homes may not see power return for at least another week — and those are the lucky ones. Thanks to an unexpected, last-minute detour, Irma skirted the worst-case storm surge scenario that meteorologists had feared. After the direct hit from Hurricane Irma, many residents in the Florida Keys are still without power, cell phone service and gas. The hurricane lashed Florida, leaving behind flooding, wreckage, and millions of people without power. Gator's Crossroads, a restaurant and bar in East Naples, Florida, weathered Hurricane Irma as a makeshift shelter for a handful of its regulars. The U.N. Security Council has approved new sanctions on North Korea, but they fall well short of what the Trump administration had sought. NBC national correspondent Peter Alexander reports for TODAY from the White House. From Tampa, TODAY’s Al Roker reports on the current status of Irma, which has now dwindled to a post-tropical cyclone, but still presents a threat to parts of the South. Meanwhile, out in the Atlantic, Hurricane Jose is still a concern. 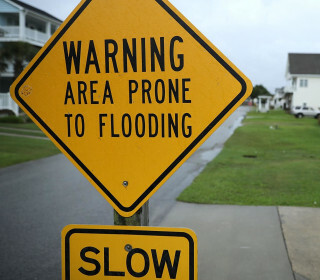 Speaking with TODAY live by phone, Lenny Curry, mayor of Jacksonville, Florida, says that the call volume for rescues has stopped and “people are safe and secure.” However, he says floodwaters may not recede for a week. “Yesterday was a rescue day, and people of Jacksonville and first responders did their jobs,” he says. Irma weakened to tropical depression status late Monday but it was once so strong and robust that it seemingly set a record for the records it set. Meteorologist Bill Karins and Morgan Radford have the latest updates on Hurricane Irma, which caused record-setting flooding in Jacksonville, Fla. and has left millions without power. For hours, Irma took its time moving up the length of the entire state of Florida leaving behind it flooding, wind damage, power outages and more. NBC's Maya Rodriguez has the latest from Miami. Polk County Sheriff Grady Judd "misused emergency shelters as unlawful pedestrian checkpoints" to check warrants on Irma evacuees, the suit says. Floridians take stock as Hurricane Irma exits, and many are surprised it wasn't a whole lot worse. Streets were flooded and cars were stranded as South Carolina was hit by Tropical Storm Irma. Hurricane Irma killed at least 24 people in Anguilla, Barbuda, St. Martin, St. Barts, the U.S. Virgin Islands and the British Virgin Islands. Bryan Norcross, senior hurricane specialist for The Weather Channel, talks with Rachel Maddow about the size and scope of damage to Florida infrastructure by Hurricane Irma and the likely rate of progress for repairs. Governor Kenneth Mapp of the U.S. Virgin Islands, talks with Rachel Maddow about the widespread destruction caused by Hurricane Irma and the work under way to restore livable conditions, with normalcy still a long way off. Irma, now a tropical storm, was wreaking havoc in northern Florida ─ including Jacksonville, where downtown floodwaters were higher than the 1864 record. Florida and Houston will rebuild in the wake of Harvey and Irma, and, like Katrina in 2005, undocumented workers will do much of that work. Florida Republican officeholder Penny Taylor wants people - including EPA chief Scott Pruitt, who said now isn't the time to talk about climate change - to face up to the facts so hurricanes like Irma can be mitigated. Residents returned Monday to the unassuming Holiday Manor mobile home park near the Tamiami Trail and found a surprising number of their homes still standing. Irma has now weakened into a tropical storm as it continues its damaging trek. Thousands of American service members arrived to help with clean up efforts across the Caribbean, U.S. Virgin Islands and Puerto Rico today, areas where relief supplies have been slow to arrive. After leaving their St. Petersburg home of 34 years for safer ground inland, the Elinger family was shocked and surprised to find that their waterfront property survived Irma. 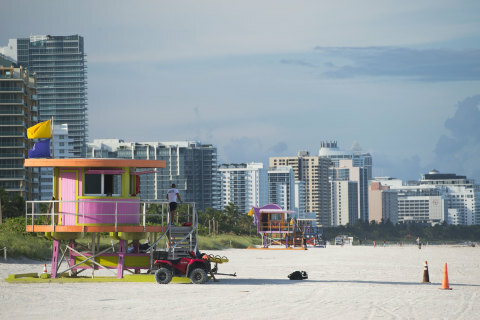 Communities on the West coast of Florida were expecting heavy flooding and devastation from the storm, but seemed to have been spared the brunt of the damage caused by the historic hurricane. Insurance losses from Hurricane Irma, including homes, businesses and vehicles, are estimated to cost between twenty and forty billion dollars. The National Guard is deploying search and rescue missions in the Florida Keys, many of which are isolated from the rest of the state due to damage to roads and bridges. A weakened but still destructive Irma continues to wreak havoc in Florida, where strong winds and heavy rain brought unprecedented flooding to Jacksonville today. 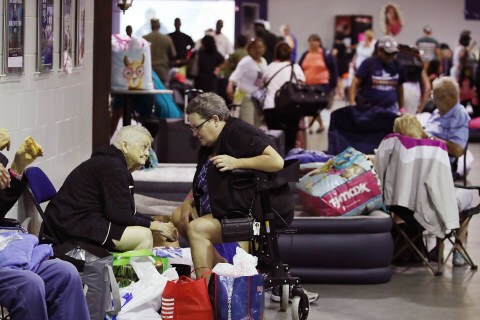 Fleeing a hurricane may be worse than sheltering in place for some people, including the frail and elderly, research shows. This hyperlapse video shows the entirety of Hurricane Irma's destructive path, along with the creation of hurricanes Jose and Katia. As Hurricane Irma battered north Florida, Jacksonville saw record flood levels, which storm surge affecting residents along the St. Johns River. Add this to the list of what makes Irma an unprecedented hurricane: It's so strong, it has literally changed the shape of the ocean. Here's the science of why. Richard Branson took to Instagram to document the damage done to his private island, located in the British Virgin Islands, by Hurricane Irma. Angel Marquez says waves from the St. Johns River are crashing into the side of his apartment building and that water outside his building is already waist-high and rising.